Our local chapter provides you with the opportunity to attend valuable educational presentations conveniently scheduled during lunch time and held at local establishments. In addition, these events provide you with a forum for networking with your peers in construction, as well professionals specializing in servicing contractors. We also hold an annual joint educational conference with the South Central Louisiana chapter based in Baton Rouge, and your membership gives you access to all events sponsored by the National CFMA organization. For more information on the benefits and resources provided by the National organization, please click here. If you would like to receive an informational packet further detailing the benefits of membership, please e-mail your contact information to our Membership Committee chair Alan Carroll at alan@cycleconstruction.com. Please note that all local members must first join the National Organization. 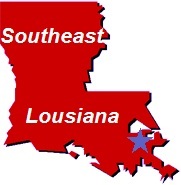 If you would like to join, please click here and be sure to choose "Southeast Louisiana" as your Chapter. You can fill out an on-line form which requires payment of dues by credit card, or you can download an application to complete and mail with a check. Thank you for your interest in CFMA!